Five months ago, Valerie’s boyfriend, Nick, opened fire in their high school cafeteria. He targeted people who made their “Hate List:” a collection of people who harassed them, picked on them, and made their lives at Garvin High a living hell. Valerie had no idea he was going to go this far, but in his way, Nick did it for her. To stop the bloodshed, Valerie ended up getting shot before Nick took his own life. Now, Valerie must return to her high school with an injured leg and face the consequences of Nick’s actions and their shared Hate List—which of course made the news. People aren’t sure if she’s a victim, a hero, or an accomplice, and many students are shocked Valerie even returned. How dare she show her face after the pain she and her boyfriend caused? 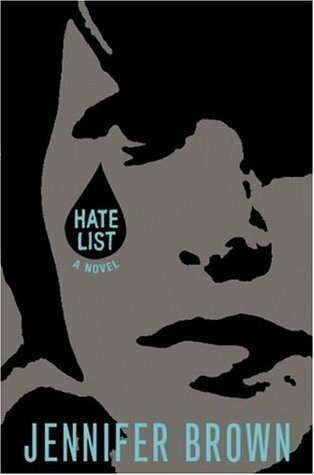 Hate List is author Jennifer Brown’s debut, and what a way to arrive on the literary scene. Hate List is very dark, but interestingly, Brown is a two-time winner of the Erma Bombeck Global Humor Award. Obviously, she’s multi-talented. As you may expect, Hate List is not—not—an easy read. Despite beautiful flowing prose and a likeable protagonist in Valerie, I spent most of my reading time in tears. This book is considered YA fiction, but for me, it read like a ghost story. Valerie is haunted by the memory of Nick, the boy she loved. The intimate flashbacks of how they met and fell in love make his ultimate murder spree all the more painful. Nick and Valerie were happy together. They acted like teens in love, stealing kisses, laughing, chasing each other around kitchen counters over the sound of Valerie’s giggles. The memory of Nick haunts her, and she still can’t believe what he did. When they talked about their Hate List, suicide, and murder, how did she not see that he was serious? Valerie is the town villain when she returns to school, and she’s surrounded by a cast of characters you either like or thoroughly dislike. Her parents are an absolute mess and blame her for the shooting (as do many of her fellow students). She finds solace in her supportive therapist, Dr. Hieler; in unlikely classmate Jessica; and in crazy painter lady, Bea. Still, Valerie’s healing has nothing to do with them—not really. On her own, she needs to say goodbye to the past and forgive Nick. Forgive herself. This book made me rethink so much of my own high school experience. How many people did I wrong? How many mean things did I say? Since my friends and I were nerds, we had a nickname for the popular girls: Snob Squad. I channeled my hate into cutting myself, but what would I have done, pushed to the edge like Nick? Nick the shooter is one of the most sympathetic characters in Hate List. We see him through Valerie’s flashbacks, and he was charming, sweet, and abused by his fellow classmates. Even though the cafeteria shooting scene is horrific, I couldn’t help but feel attached to the ghost of this young man. If only someone had saved him before it was too late. He haunts the pages of Jennifer’s Brown’s debut. He haunts me now. The kids aren’t all right. We never were. 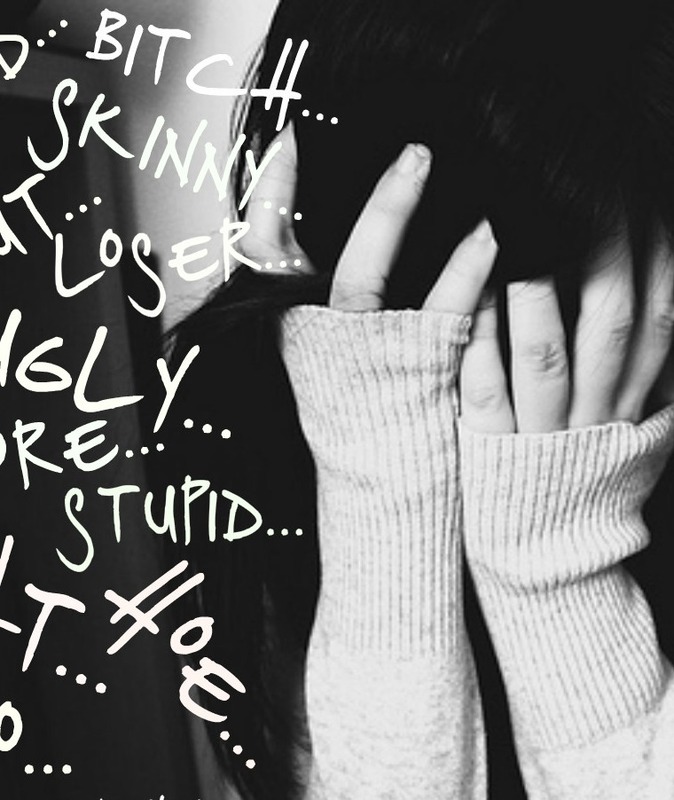 How many of us suffered through depression and thoughts of suicide in high school? How many of us had friends who actually went through with it—ended up hanging from their parents’ chandelier in Small Town, Ohio? I did. Although I did not have a Hate List, I hated people. And hate leads to nothing good. I suggest Jennifer Brown’s debut to teens and adults alike (especially adults with children). There is a lot to learn here about love, forgiveness, and the poison of bullying turned to anger and violence. How do good kids become monsters? The step by step process is there if we’re willing to look. Instead, we turn a blind eye. Well, open your eyes. Hate is real, and its consequences are devastating. Buy the book HERE. Wow. I can’t think of anyone I hated, but I was very much depressed. And I was mean to people. I hate to think someone let me make them feel so bad that they hated me. Sounds like a powerful book.